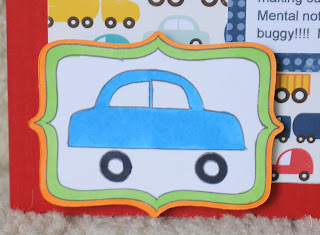 It's time for the Disney/Pixar Blog Hop! I do have a super quick favor to ask! 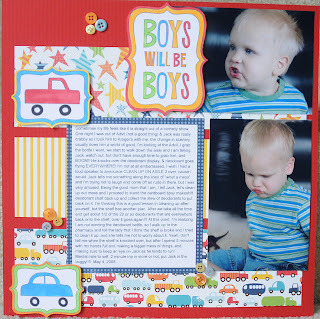 I'm trying to get my blog in the Top 25 mom shops! 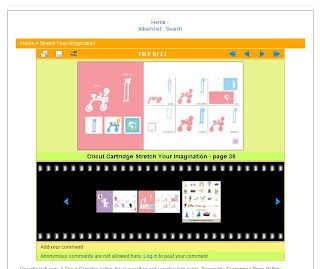 All you have to do is click on the link on the left side of my blog and click the thumbs up by my Chomas Creation's logo. 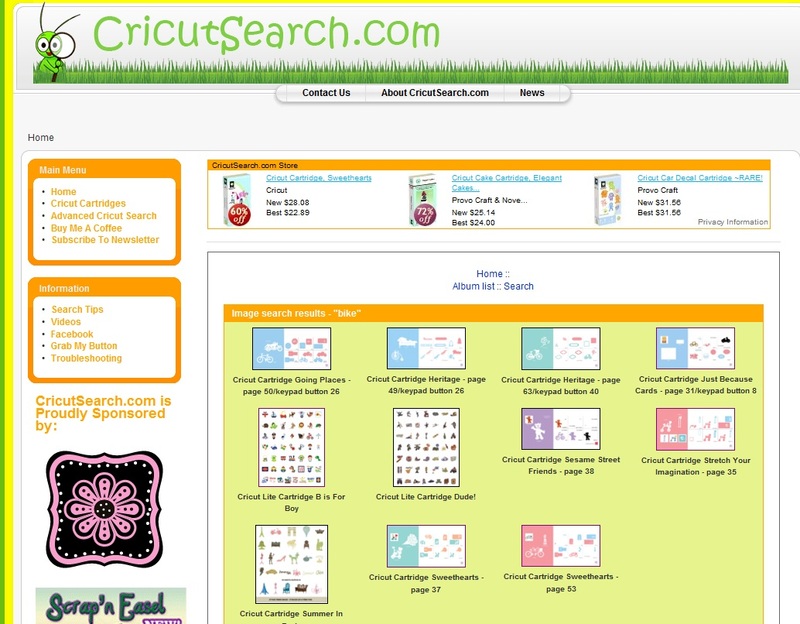 There is no need to register and no annoying emails will be sent, and it only takes a second. And if you want to go back every day that would be awesome to! I decided to play with some different Mickey images I found online with Make-the-Cut and make some cards this time around. 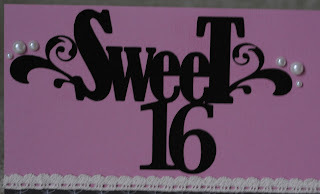 Birthday cards always come in handy to have laying around! 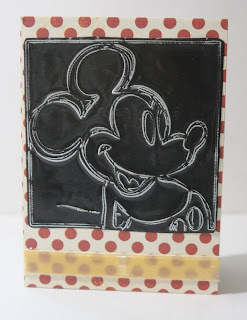 The first one I did I used the Chomas Creations embossing kit on Ten Seconds Studios metal sheets with this Mickey image I found. 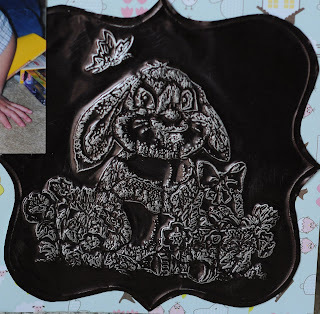 To get this look you add the metal sheet colored side down on the embossing mat, and after embossing you sand the image to get the silver to pop through. 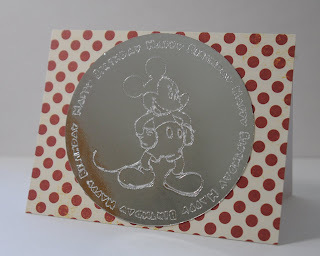 The 2nd card I made I used the Chomas Creations engraving tip on clear cardstock to engrave or etch the Mickey Mouse heads onto the clear cardstock. Click on the image to see it closer and better! I also made the title with a Mickey font and layered it, then shadowed it. 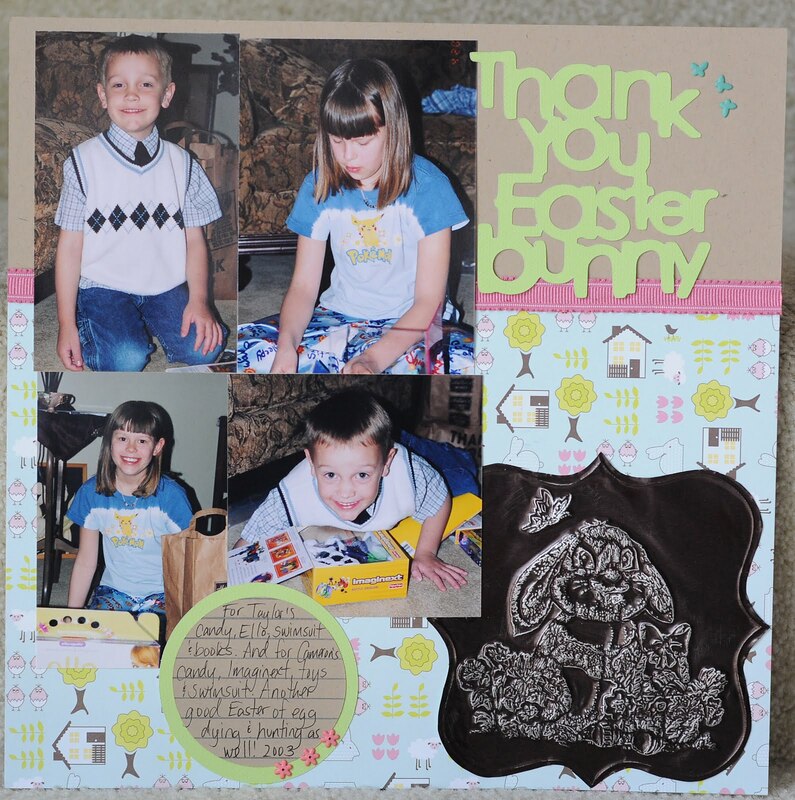 The last card I made used the Chomas Creations engraving tip as well, but this time on metallic paper by Colorbok. I picked up a 2 pack of these metallic sheets at Target for just $.99! And it cuts great with the Cricut. Have you heard that we lowered the prices on the Chomas Creations mini gel pen holder, mini Sharpie holder, and micro Sharpie holder? The Chomas Creations mini gel pen holder and mini Sharpie holders are now $19.49! The Chomas Creations micro Sharpie holder is now $18.49 and we have 8 colors of micro Sharpies available for sale! The Chomas Creations are now $5.49 for a 10 pack, or $10.49 for all 20 of the mini gel pens. 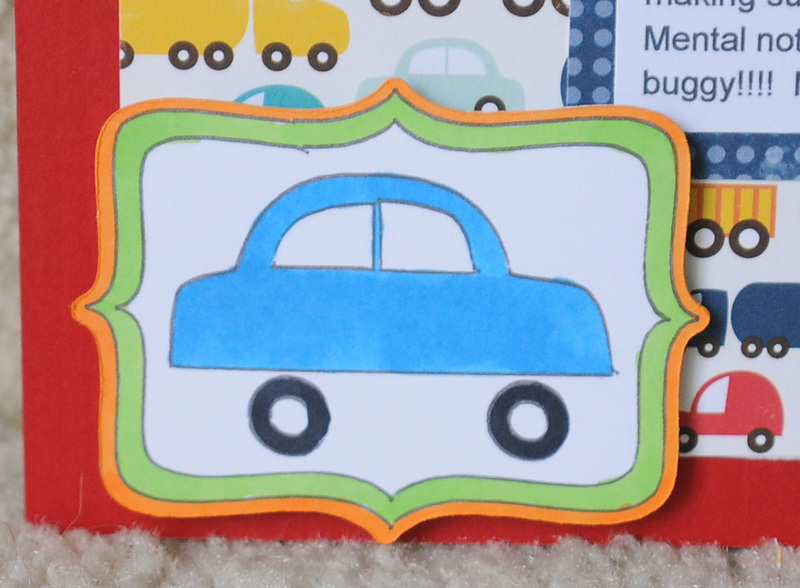 **CLOSED** Also to celebrate the 2nd Disney/Pixar blog hop, how about a give away? You don't have follow my blog to win, but why not?? And if you could take a minute to vote for me (again not mandatory, but why not hehe) for the Top 25 mom shops, that would be awesome! 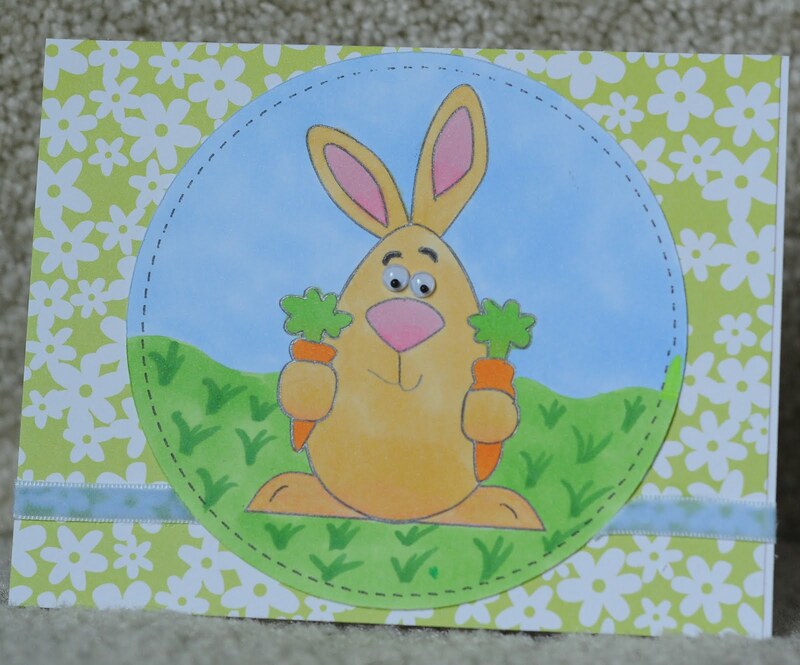 Leave a comment after this post on what you think of the 3 cards I made for the hop and you could win a Chomas Creations mini gel pen holder and 10 pack of assorted mini gel pens! Only 1 entry per person, and remember I must have a way to contact you! I will post the winner on my blog Sunday night/Monday morningish! You will have 1 week to claim your prize or I will draw another winner. **You may still comment on this post but it will not be put in the drawing, the drawing is now closed. Next stop on the hop is Jenny over at Jenny Place. Hop on over to see what she has in store for you! In case you got lost on the hop along the way, here is the master list for day 1! 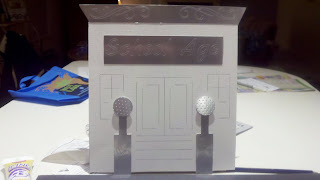 My youngest son's 5th birthday is right around the corner (ok, now how did my baby get to be 5??) 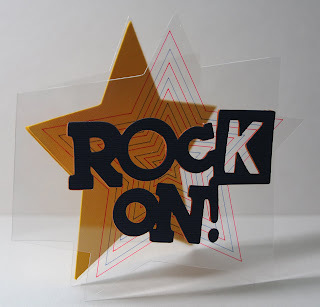 so I wanted to make him a fun rock star birthday card, as he totally rocks hehe! I love the clear cardstock for making cards and layering them, and what could be better on the clear cardstock then the Chomas Creations micrio Sharpie holder? The Sharpies are permanent and don't smear on slippery surfaces like this. 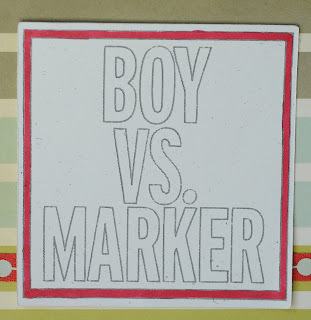 And I also offer 8 colors of micro Sharpies for sale on my blog! To get this effect is easy! First you add the Chomas Creations micro Sharpie holder and the red micro Sharpie. 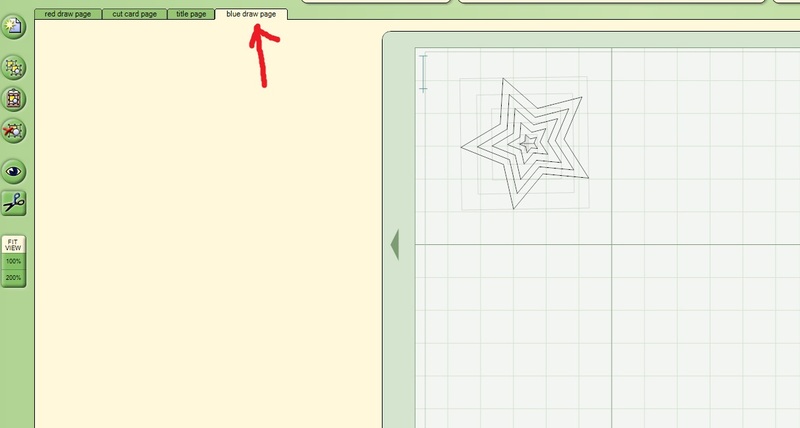 Use the red draw page in the Design Studio file to draw the red stars. Now without removing your mat from the machine, using a scrap piece of paper under your micro Sharpie to protect your card, remove the micro Sharpie holder from the machine. Replace it with the blue micro Sharpie and draw the blue draw page in the Design Studio file. Again without removing the mat from the machine, using a scrap piece of paper remove the micro Sharpie holder from the machine. Replace your blade and cut the cut card page layer. Now you have 2 different colors of drawn stars on your card. If you want to do something similar, you could add as many layers as you need to, just make sure everything lines up by copying and pasting on different layers. 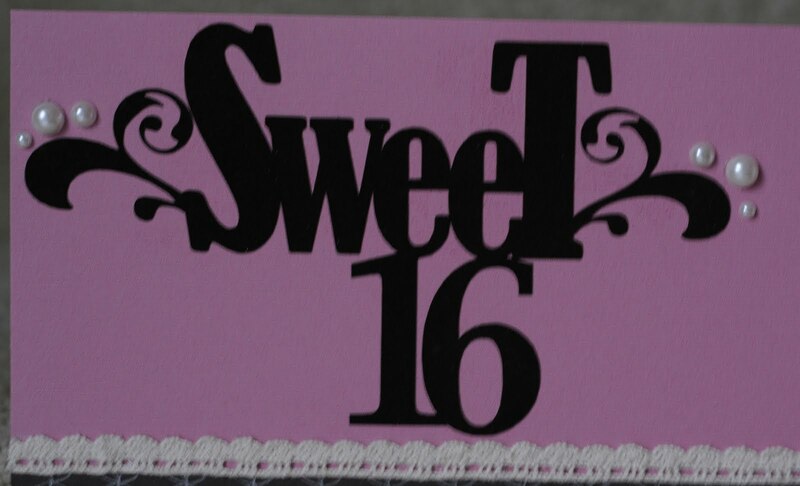 Here is the front of the card with the title also added on. 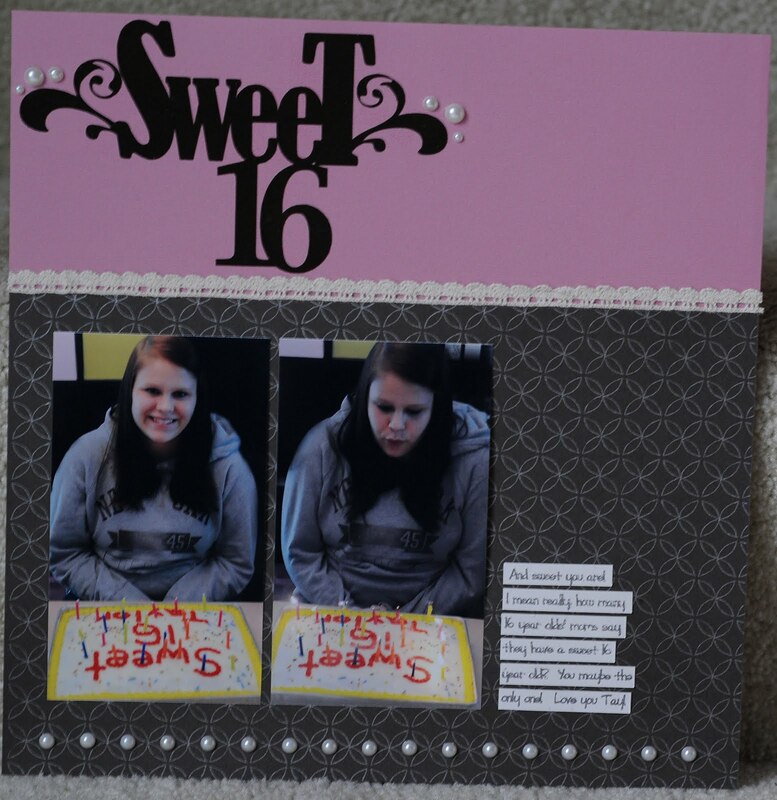 I cut 4 layers of the title to add to the front of my card to make it pop up even more. 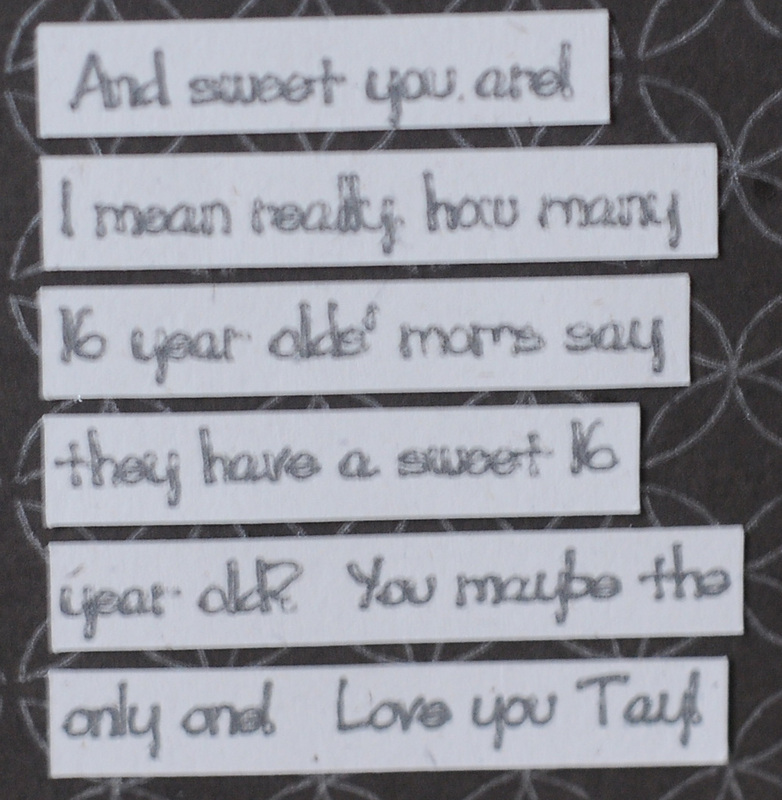 So where do your write your card sentiments for these cards? 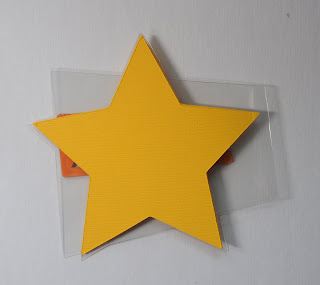 Well for this one I cut 2 big yellow stars and added an extra to the back of the card to write on for the birthday boy! Also! 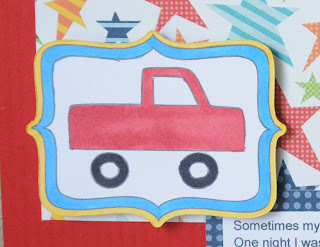 Tomorrow is the big Disney/Pixar blog hop! Be sure to drop by at 6 am eastern time (ok, so I'm posting ahead of time, I don't get up that early, hehe) for the start of the hop! 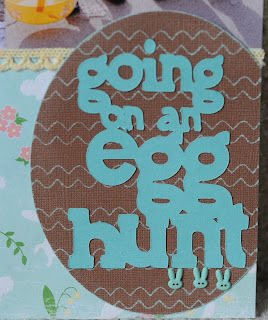 Lots of awesome blogs for this 2 day hop this time!! 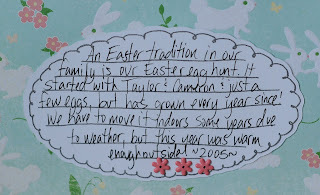 I love the little stories I've journaled as my kids are growing. My youngest son has always kept me on my toes, so for a funny story with him at age 2, read the journaling I'll add at the end of this post! I swear sometimes my life should be a TV show with these kids hehe! You can't make this stuff up! Have I mentioned that the Chomas Creations mini gel pen holder and mini Sharpie holder have now come down in price? Only $18.49 each, or both for $36! Also the mini gel pens are now $5.50 for a 10 pack, or all 20 for $10.50! Also if you wouldn't mind taking a minute to vote for me for the Top 25 mom blogs, there is a link on the left side, and a post below this that describes what you are voting for! 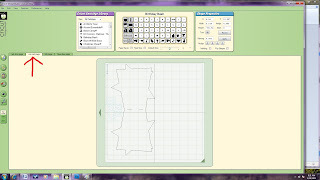 I used the Echo Park line of papers for this page, and Silhouette now works with Echo Park for images you can download for their Studio software for $.99. I love that they match the paper lines! But I don't love all of the small parts you would have to cut in different colors for this page. So I cheated hehe! I used the Chomas Creations mini gel pen holder for the Silhouette along with the black metallic mini gel pen to draw the title, the truck and car, then cut around them with the Silhouette. I colored the images in with the Copic markers. Here is the completed layout with the journaling! 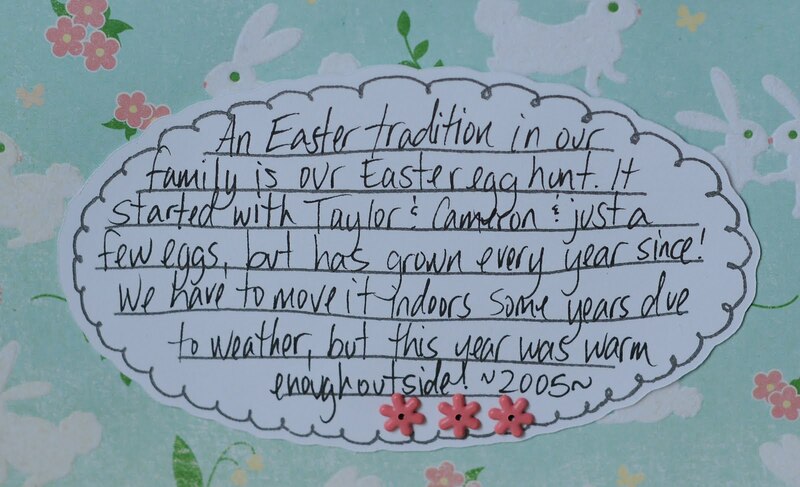 Here is the journaling for the page! Sometimes my life feels like it is straight out of a comedy show. One night I was out of Advil (not a good thing) & Jack was really crabby so I took him to Kroger's with me, the change in scenery usually does him a world of good. I'm looking at the Advil, I grab the bottle I want, we start to walk down the aisle and I am telling Jack, watch out, but don't have enough time to grab him, and BOOM!! He knocks over the deodorant display, & deodorant goes flying EVERYWHERE! I'm not at all embarrassed, I wish I had a loud speaker to announce CLEAN UP ON AISLE 3 over, cause I would. Jack tells me something along the lines of "what a mess" and I'm trying not to laugh and come off as rude in there, but I was very amused. Being the good mom that I am, I tell Jack, let's clean up our mess and I proceed to stand the cardboard tipsy makeshift deodorant shelf back up and collect the slew of deodorants to put back on it. I'm thinking this is a good lesson in cleaning up after yourself, but the shelf has another plan. After we take all the time and get about 1/2 of the 20 or so deodorants that are everywhere back onto the shelf, over it goes again!!! At this point, I'm realizing I am not winning the deodorant battle, so I walk up to the pharmacy and tell the lady that I think the shelf is broke and I tried to clean it up, and she tells me not to worry about it. Yeah, don't tell me when the shelf is knocked over, but after I spend 5 minutes with my hands full and making a bigger mess of things, and making sure to keep an eye on Jack as he tends to run! 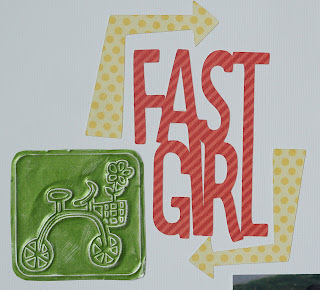 There is also a button on the left side of my blog for the top 25, if you want to vote everyday! 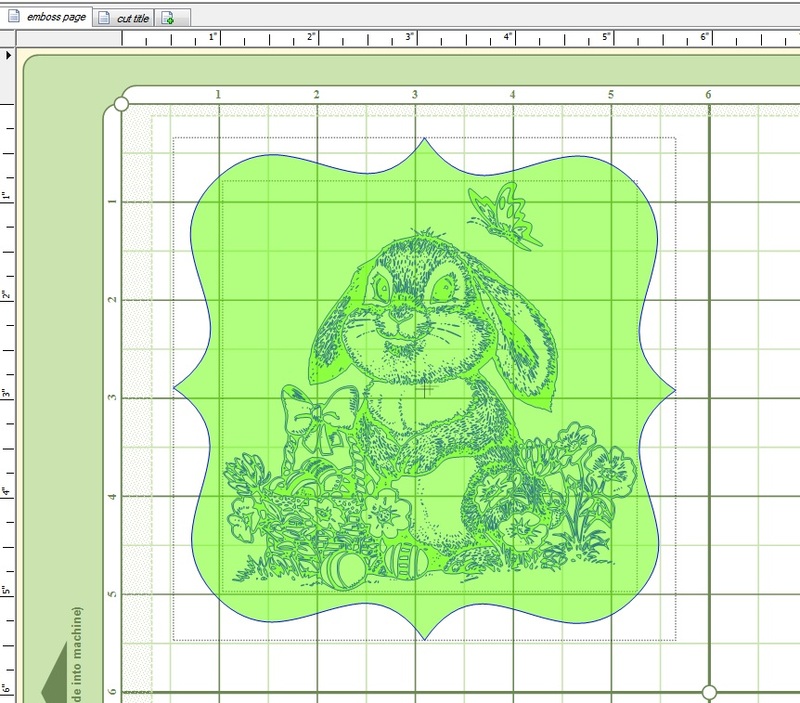 I worked really long and hard on this Easter bunny file for the Silhouette Studio, so I figured I needed to use it a couple more times! 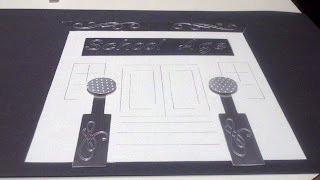 Originally the file was in pieces made for cutting, and I layered them together so I could draw them with the Chomas Creations mini gel pen holder for the Silhouette. Here is the card that I did. Did you know you can use the Copic markers with the Chomas Creations mini gel pens and they won't bleed? Opens up a lot of options! Here are both of our cards together! 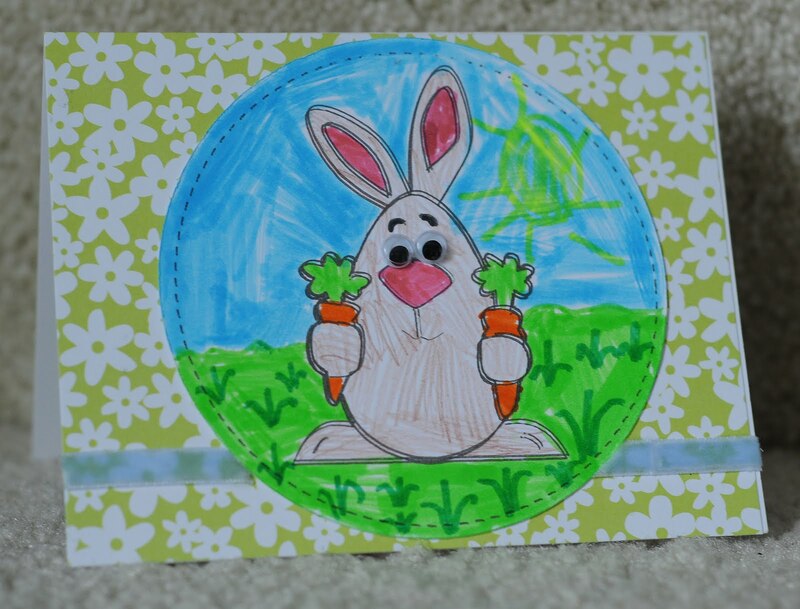 They will be mailing out today for some speical little people in our lives! A blast from Easter's past! 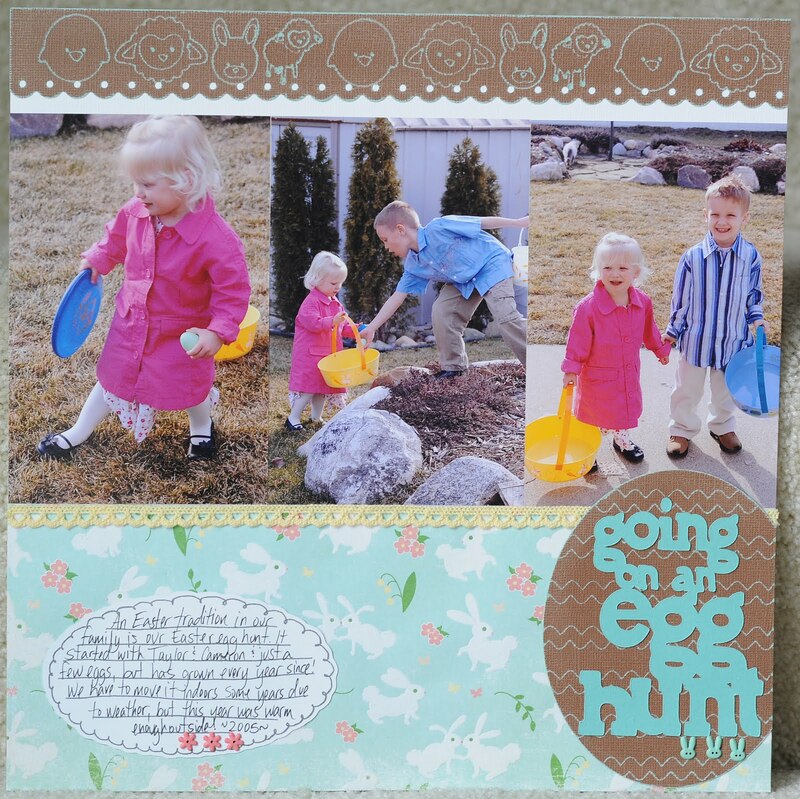 This one is 2005, but I have always had a hard time doing Easter pics, and figured it was time to conquer some! 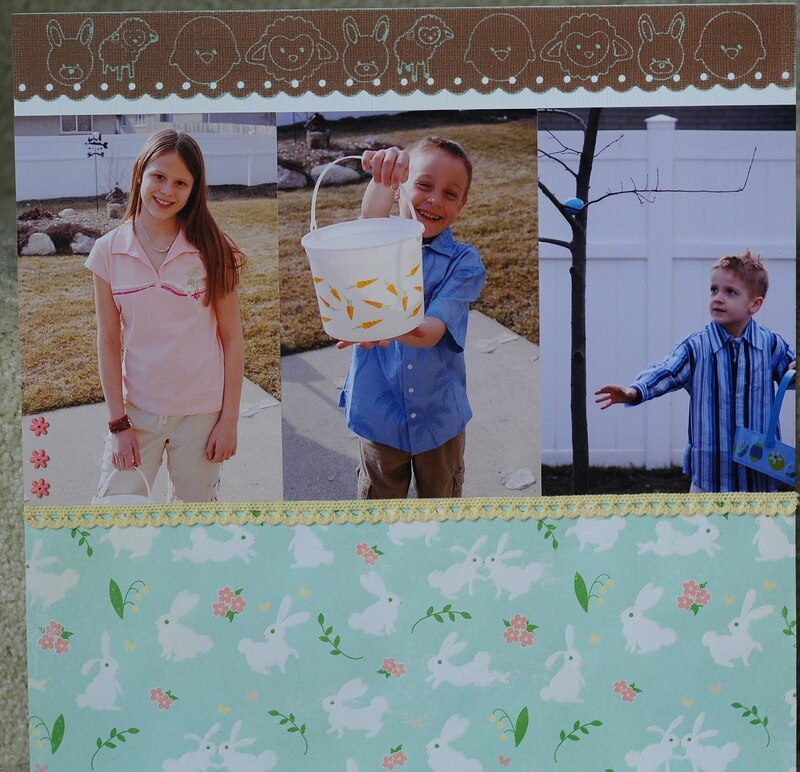 For the border on the top of the page, and the big Easter egg I used the Chomas Creations engraving tip on Core'dinations cardstock. 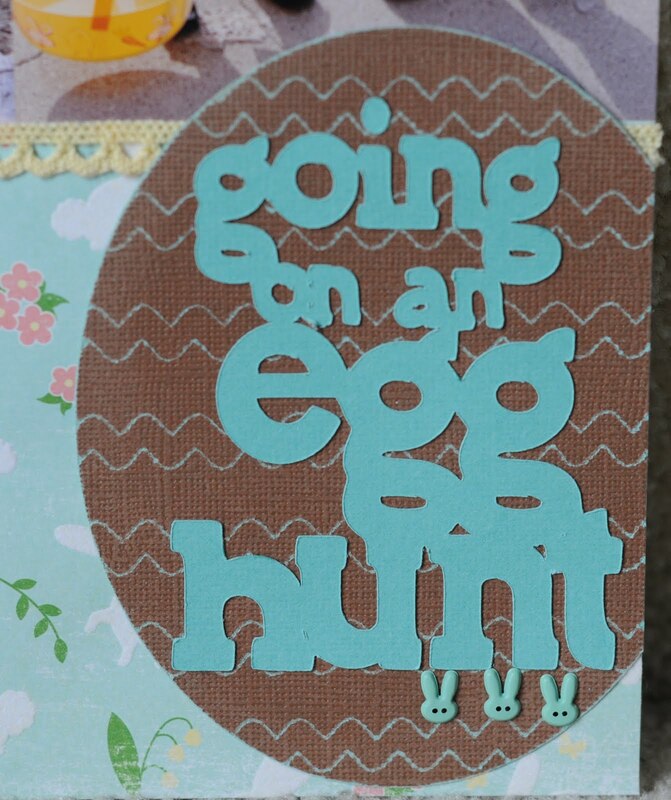 The title was designed with Birthday Bash, and the big egg was made using the Chomas Creations engraving tip again on the Core'dinations cardstock. If you would like the file for the border and Easter egg, they are here... egg hunt file This Design Studio file uses Easter 2010 for the border and Birthday Bash for the title. The journaling oval was done with the Chomas Creations mini gel pen holder and the black metallic mini gel pen from the assorted pack. 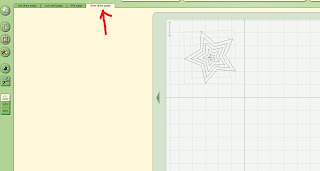 You can find the file for that here... scallop oval journal It uses Make-the-Cut. 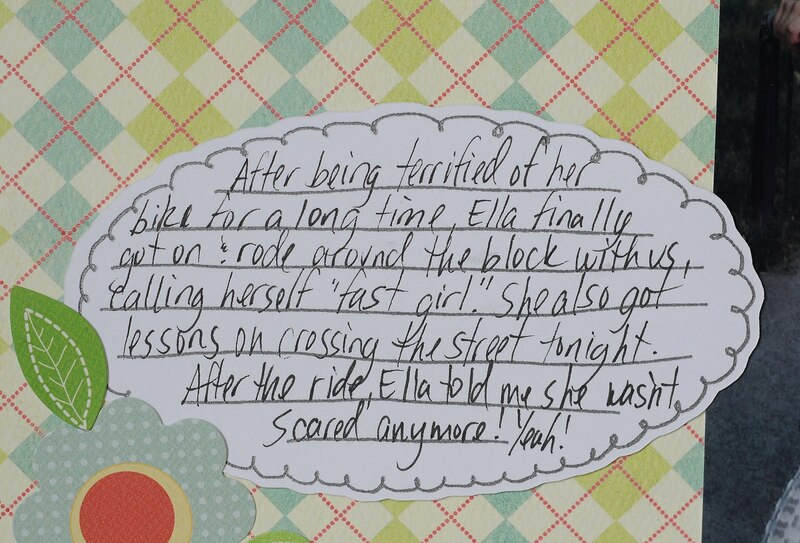 And here is both sides of the page! 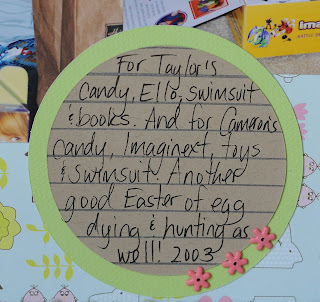 The papers, ribbon and brads are from Making Memories. I love making my own background paper for my layouts! 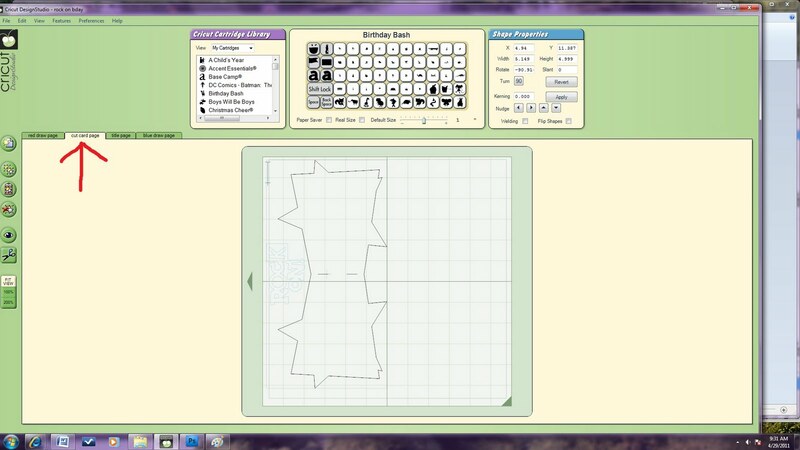 This one was done with one of the downloadable sketches from the Silhouette library. I used the Chomas Creations mini gel pen holder with the glitter silver mini gel pen on dark brown paper, look how PRETTY!!! I also used the Chomas Creations mini gel pen holder with the black metallic mini gel pen to do the journaling for this page, cutting around the small font with rectangles, quick and easy journaling strips! 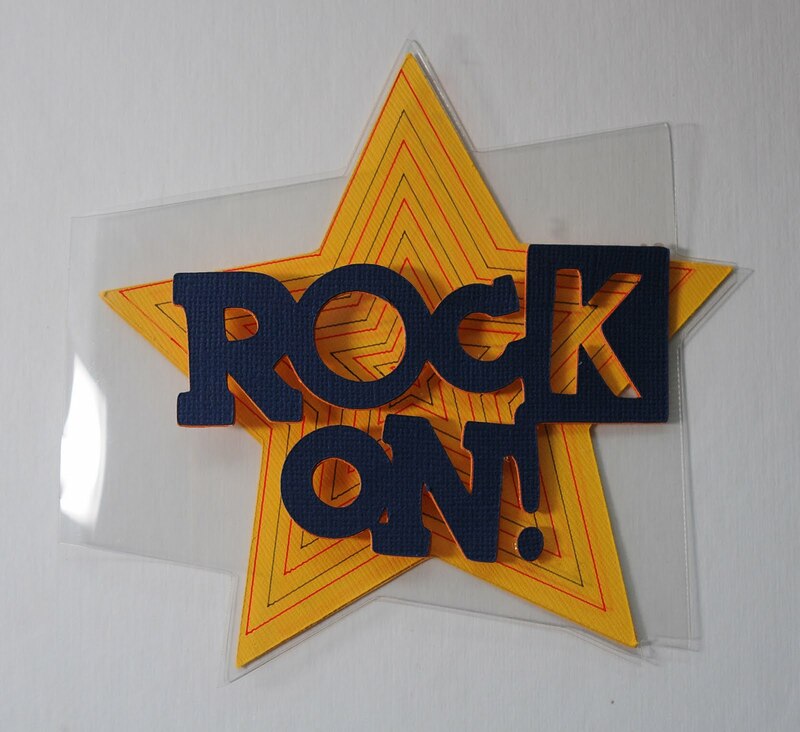 The title is also a Silhouette file that I downloaded, then cut out of the dark brown Silhouette fuzzy vinyl. I added some pearls around the design as well! And here is the completed page, along with my sweet 16 year old! I added some Making Memories ribbons and more pearls on the bottom. 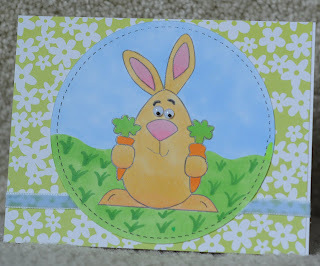 I found this cute bunny using google to search, and wanted to see how the Chomas Creations embossing kit could handle it. Here is the completed page! Yeah, this is what you get for trying to shower with a trouble making 2 year old around! I thought all the markers were put up, and that the so called "washable" ones were thrown away! 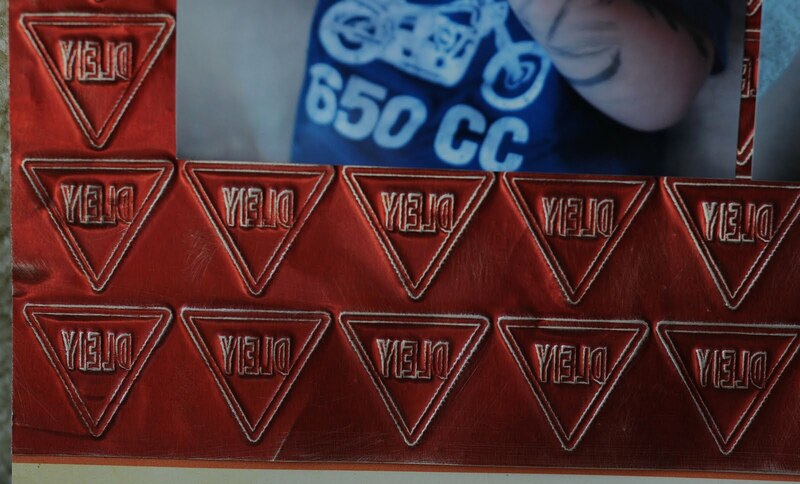 Don't look too closely at the embossing on this page, I may just have made a mistake! 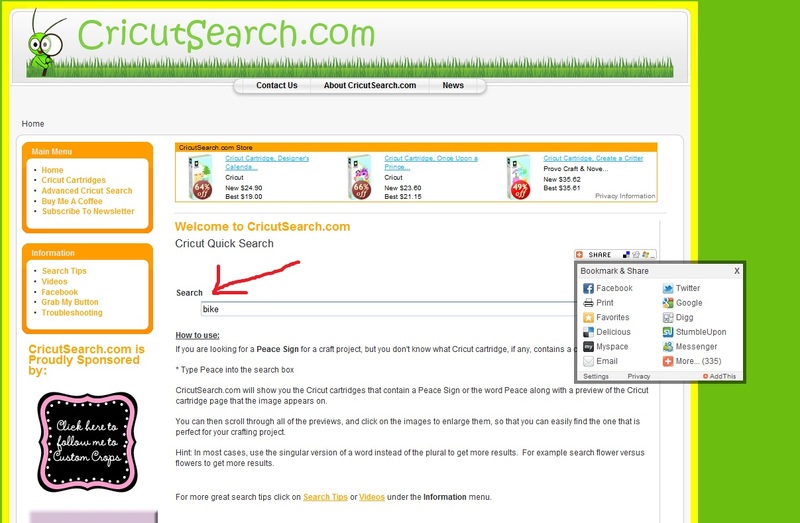 Did you know that in Design Studio, if you "copy" an image that has been flipped, it doesn't flip the copy? I didn't! lol! 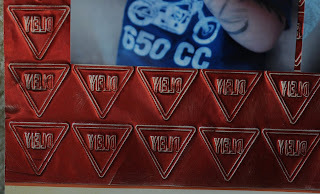 But I still like how it turned out, so I kept my booboo embossed yield signs! 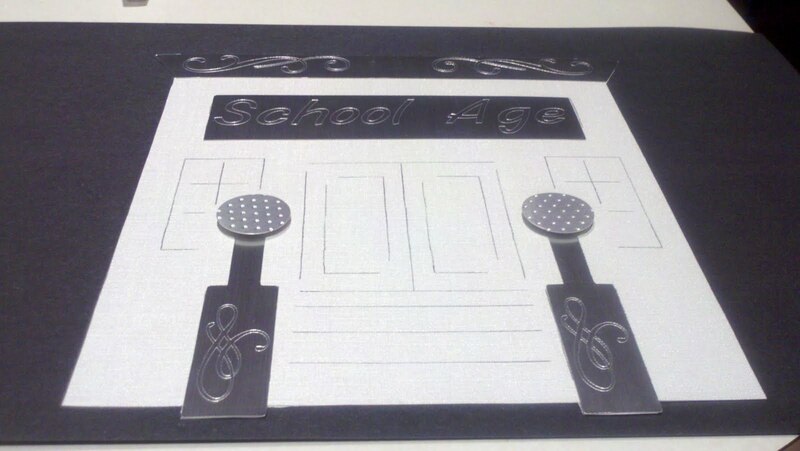 I used the Street Sign cart for this embossed image onto Ten Seconds Studio metal, and the Chomas Creations embossing kit. For the title I used the Chomas Creations mini gel pen holder with the black metallic mini gel pen from the assorted pack, again with the Street Sign cartridge. 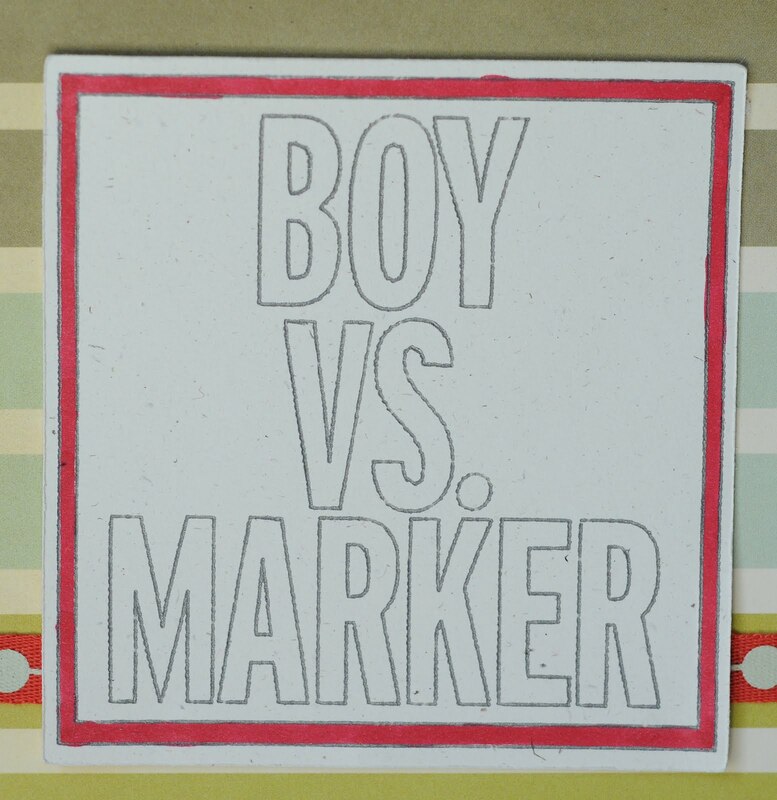 I colored in the rectangle around the title with a Copic. 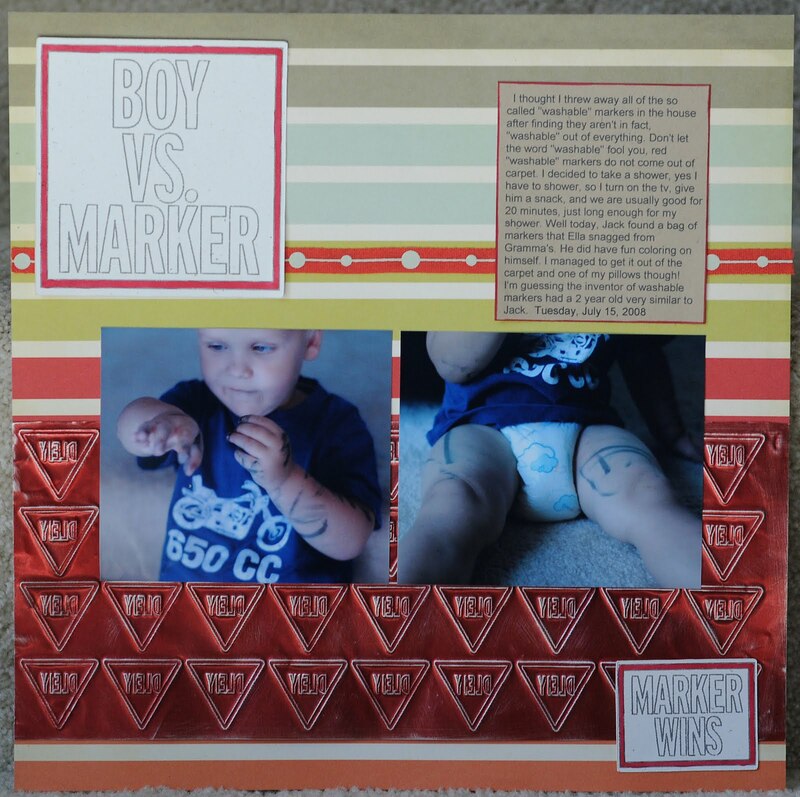 Here is the completed page, the papers and ribbon are Cosmo Cricket, the marked up boy is all mine hehe! 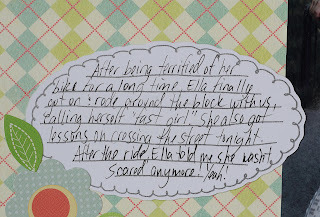 I learned a lesson that day! 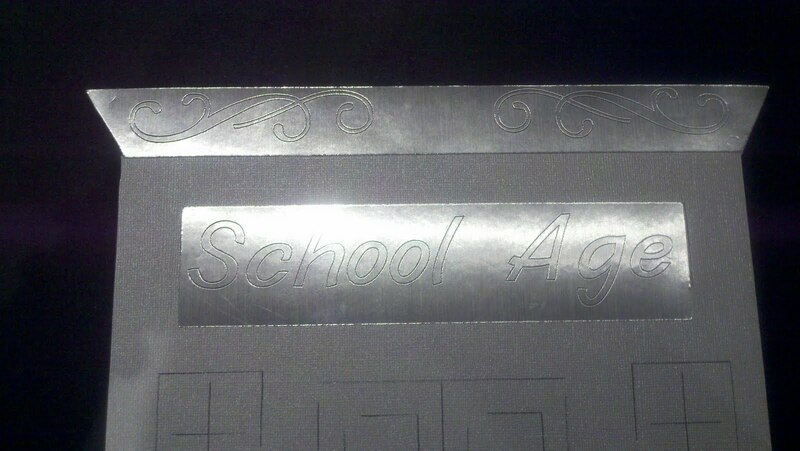 Project with the Chomas Creations engraving tip! Here is a flat on view. The white paper is coordination gemstone. 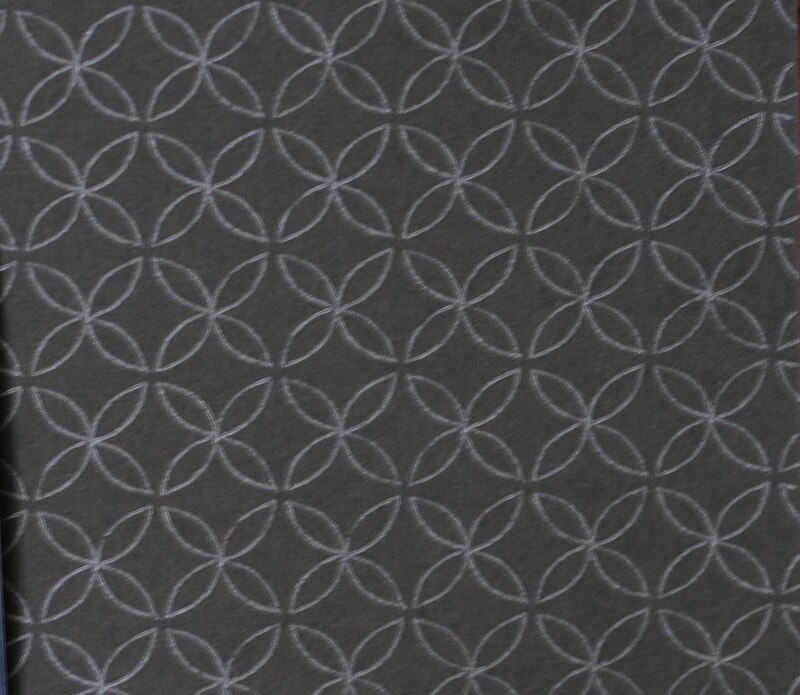 The metal like paper was bought at JoAnn's. 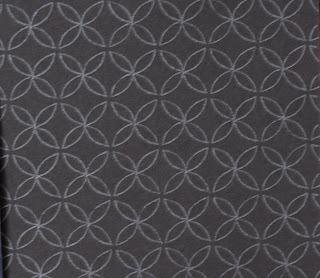 It is silver metalic by Colorbok. We first drew the building using Amy's mini gel pen holder. That way we got the view of the windows and door. 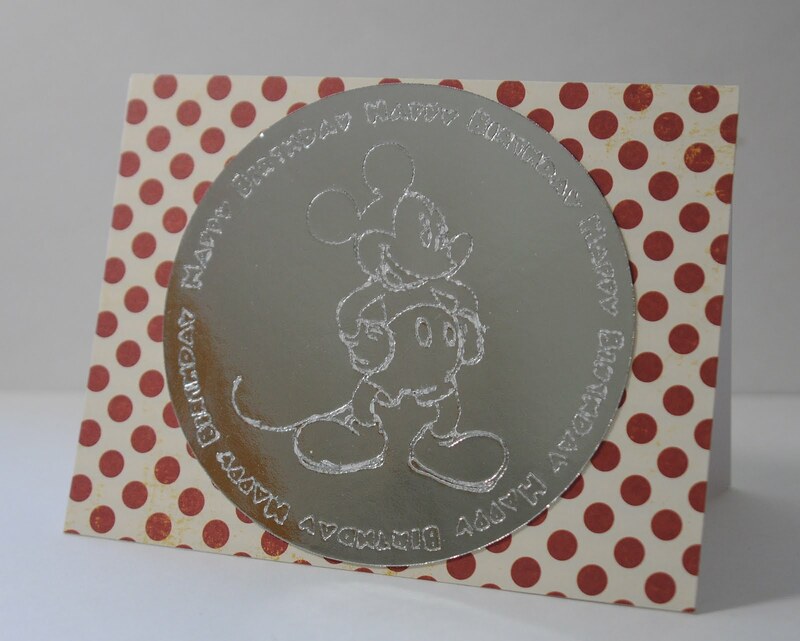 Next, I engraved the metal paper using the engraving tip, also designed by Chomas Creations. I just love the way this turned out. 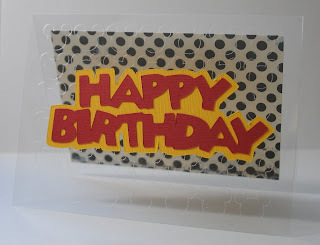 The small balls were embossed using the mini polka dots cuttlebug folder. Our last layer cut everything out. 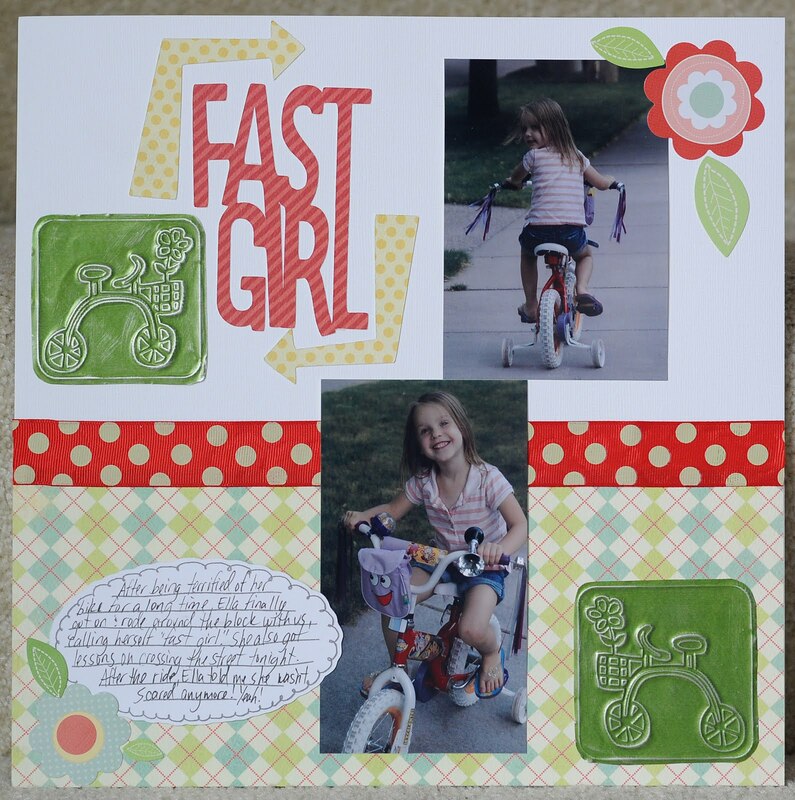 I used my ATG gun to stick everything together and to place it on her posterboard. You can click on the images to see them better. Here is a close up of the roof. Again, there is a glare, but I wanted you to see how neatly the engraving tip wrote out School Age. Don't you just love the swirls in the roof! Now that I have experimented with this tip on this paper, I have so many ideas just buzzing through my head. I can't wait for summer vacation to have more time to devote! Thanks so much for sharing this with me Rebecca! 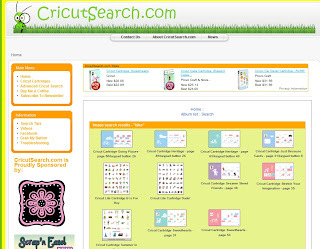 Have you tried out Cricut Search? I just have to share this! I was in the Disney/Pixar blog hop and one of the blogs on the hop is Cricut Search and to be honest, I hadn't tried it yet. But today I wanted a bike for this page I am doing, and I had no clue which cartridge had one, so I gave it a shot! Then a list of all the cartridges for the Cricut that have a bike on them show up, and you can pick the cartridge you have, with the design you like! Look at that! Not only do you know which cartridge, but it shows the page as well! How easy is that? 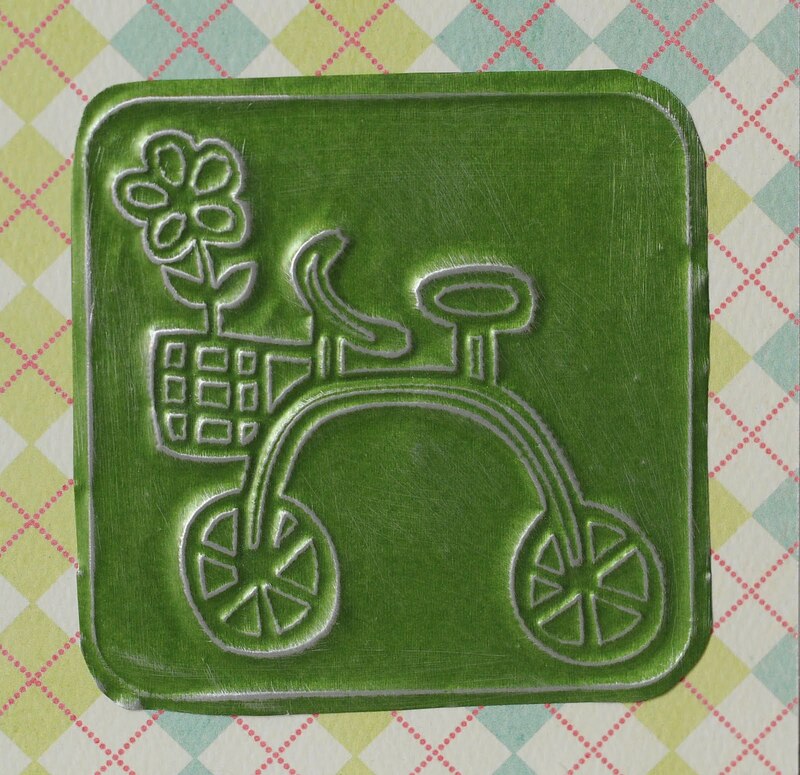 I thought it would be cool to emboss the bike design for this page. So I got out the Ten Seconds Studios appletini metal sheets and put one face down on my Chomas Creations embossing mat, then embossed the design with the embossing tip. 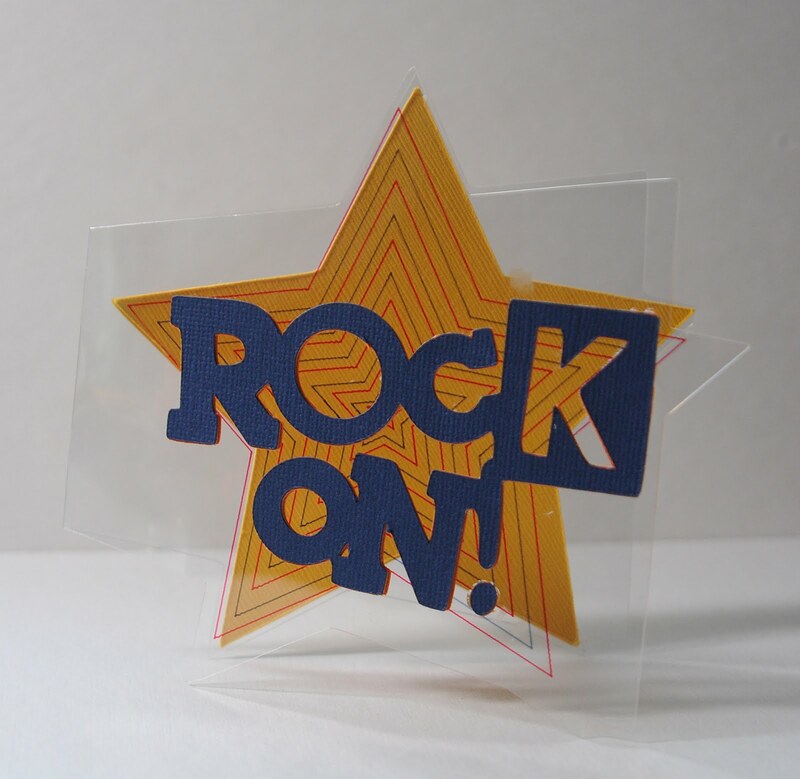 The metal is easy to cut around, so I did that with my scissors then adhered them to my page. 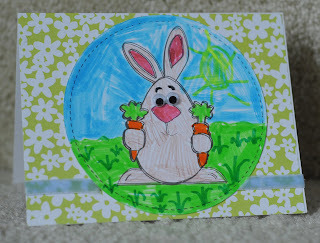 My journaling oval was one I did in Make-the-Cut. I had promised to share it awhile ago and completely forgot, so for those waiting for it, here it is! 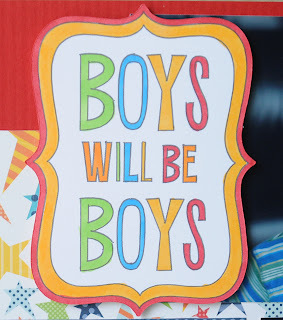 The title was cut with the Boys Will Be Boys cartridge which I welded together with Design Studio. Here is the completed page along with my fast girl! Also did you see the announcement about the Chomas Creations mini gel pen and mini Sharpie holders coming down in price? 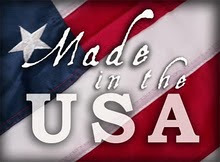 If not, scroll down to find out more!